Rancho is at the forefront of applying robotic technology in research and treatment of individuals with disabilities. Rancho established the first robotic program for children with Cerebral Palsy on the West Coast. 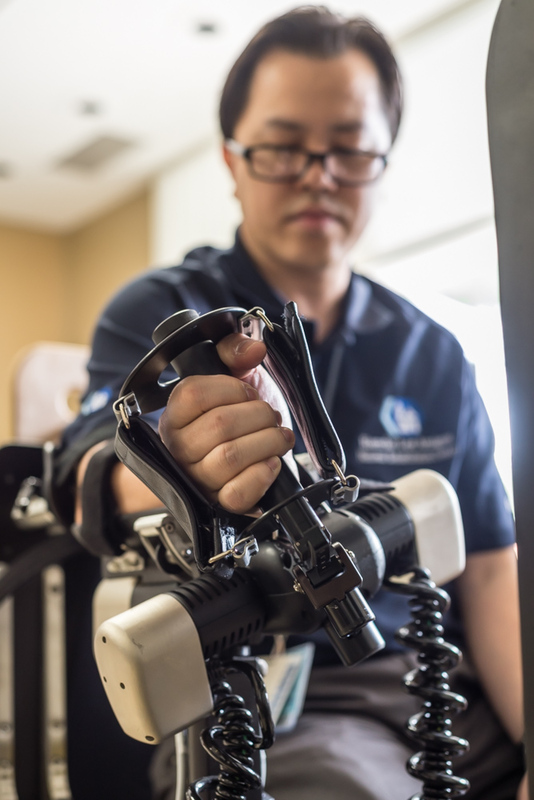 The hospital is also part of a national study on the impact of robotic therapy using a shoulder robot developed by the world-renowned Dr. Hermano Igo Kreb, a principal research scientist in MIT’s Department of Mechanical Engineering. "We are partnering with Rancho because of its long tradition of excellence and leadership in Rehabilitation," Dr. Krebs said. Funded in part by The SIMMS/MANN Family Foundation. 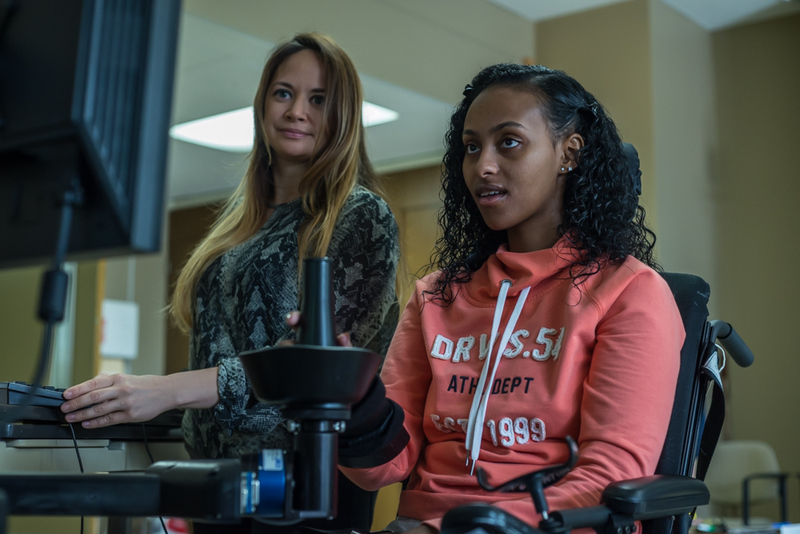 Rancho’s state-of-art robotic center provides an evidence-based, intelligent, and interactive solution for our clients living with neurological impairments. Our robots are able to continuously adapt and challenge each patients based on their current ability. This allows our clinicians to efficiently deliver personalized intensive sensorimotor therapy to all our clients. 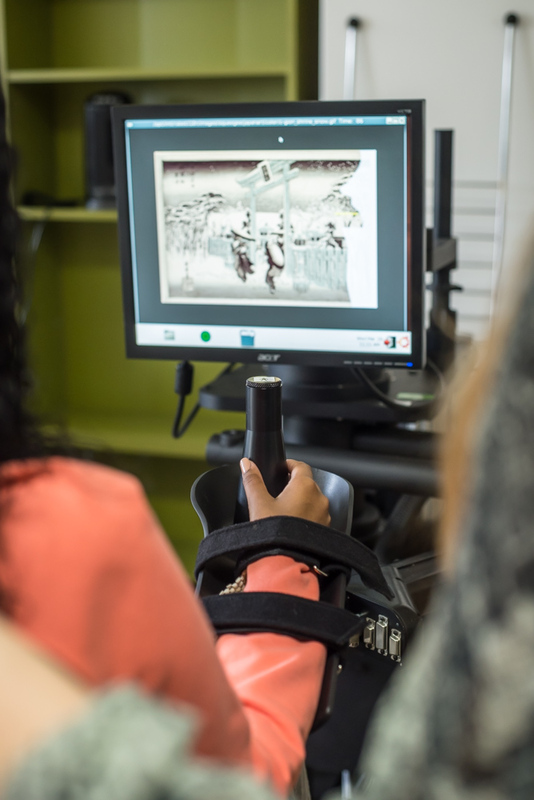 The Tyler A. Dykes Center for Robotic Rehabilitation serves both pediatrics and adult clients with the diagnosis of but not limited to stroke, brain injury, cerebral palsy, hemispherectomy, and other neurological illness.